The east Aegean Sea is famous for its cultural heritage: a plethora of ancient archaeological sites, temples and medieval fortresses. But also the pristine beaches and secluded turquoise bays are luring visitors away from the Athens sailing area of the Saronic Gulf and the Argolic Gulf. The Eastern Sporades (Southern Sporades) are even less travelled than for instance the Dodecanese but for yacht charters one of the best sailing regions in Greece! It even has a base for yacht charters: Samos, although most good yacht charter companies will use the marina in Kos which is near enough to reach the southern sporadic islands of Chios, Psara, Ikaria. The islands of Lemnos (Limnos) and Lesvos (Lesbos) are further to the north and should ideally be reached from the yacht charters base of Samos, located in the marina of Pythagorion (Pythagoriou) port. The island of Chios lies close to the Turkish border and is the southernmost island in the Sporades, except for the lobster shaped isle of Fournoi. 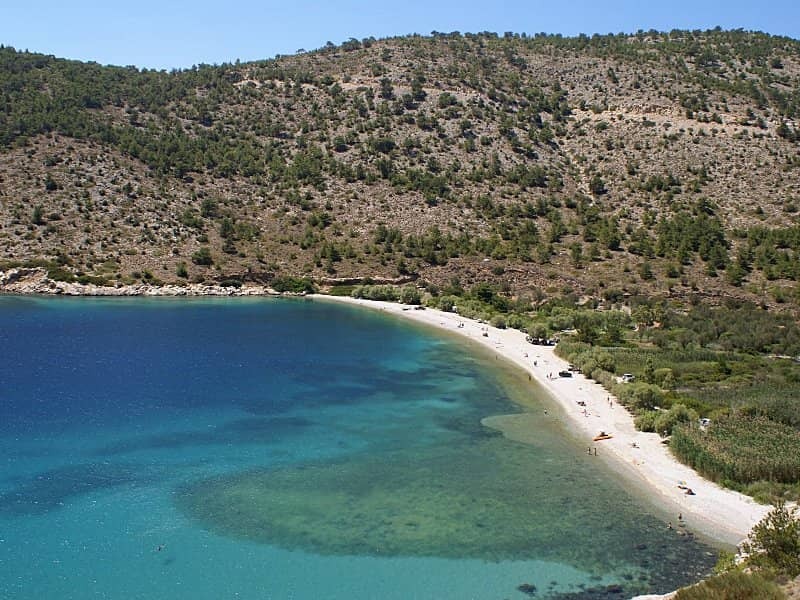 Chios offers many exceptional anchorages, beaches and picturesque ports. Further inland there are plenty ancient sites are waiting to explore.